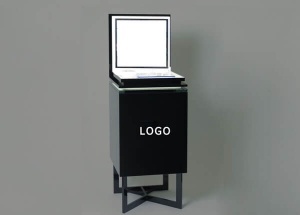 This floor portable display stands: aminated deck, acrylic displays, storage with hinged door (can lock), logo, light box, dust resistant, electrical cord with switch. 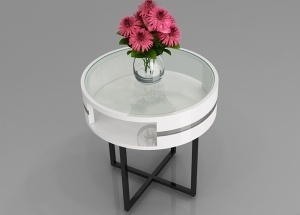 It's used to display perfume, skin care product and so on. 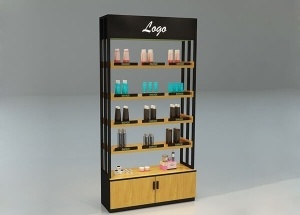 This cosmetic display shelf is makeup kiosk displays. It's used to display facial mask, eye makeup, lipstick and so on. This wall display rack has 5 levels to display skin care product, makeup, perfume, lipstick in cosmetic shop, makeup kiosk at mall. 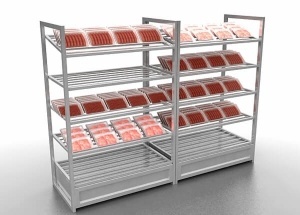 The display racks is made by wooden(MDF), metal, acrylic, fixture, LED lights, etc. 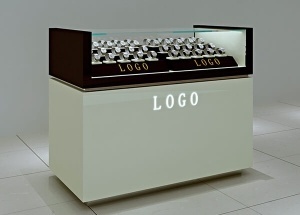 This white jewelry shop counter is white stoving varnish with countertop glass. It's widely used in jewelry shop, watch store, cell phone shop, etc. 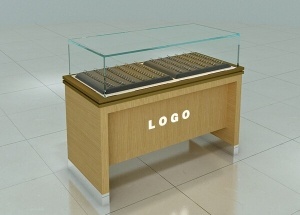 This glass top jewelry display case is covered yellow wood veneer. 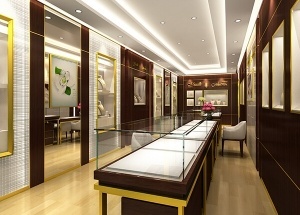 It's widely used in jewelry shop, watch store, cell phone shop, etc. 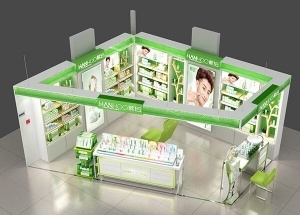 This Hanhoo cosmetics kiosk was design for Hanhoo cosmetics shop located in Shenyang city, China, made at November 2017.